About Empower kids. Build community. Playing and singing together teaches us to create a community out of very diverse parts – to co-operate, to collaborate and to build something beautiful and bigger than our individual selves. 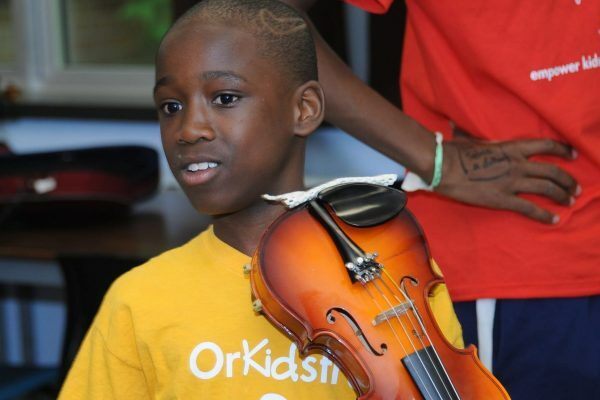 OrKidstra is a social development program that empowers kids from under-served communities by teaching life skills – such as teamwork, commitment, respect and pride in achievement – through the universal language of music. With the passionate belief in the transformative power of music, OrKidstra started with 27 children in 2007 and now includes more than 700 children, ages 5 to 18, from 62 linguistic and cultural backgrounds. OrKidstra is a registered charitable organization (# 83246 7153 RR0001). We do this by providing children from low-income families with free instruments and music lessons, which gives them the chance to learn important life skills through playing and singing together. Our vision is a future where all children and youth have the opportunity to discover their voice and build their potential through music. Our mandate is to give children from under-served communities the opportunity to learn and make music together, and the chance to benefit from the individual skills and community values inherent in music making. OrKidstra brings the joys and challenges of making music together to children who might otherwise be left out. 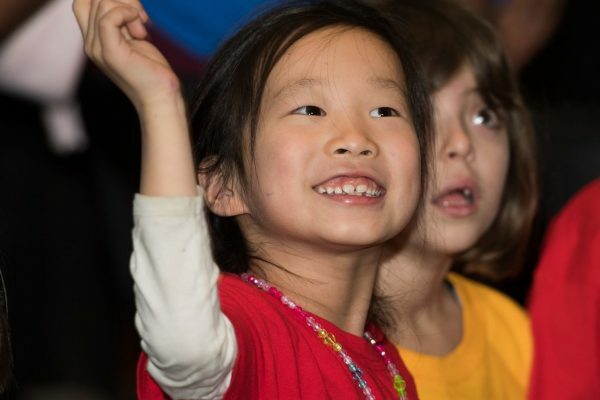 With over 700 children from over 62 cultural and linguistic backgrounds, OrKidstra is far more than a music program – it is first and foremost a social development program, giving children a sense of belonging and achievement and fostering life skills. Create extensive and intensive community connections. Kid-powered performance; passion over precision. Playing together teaches kids how to build a harmonious community. Encourage peer-to-peer structure, which breaks down barriers and fosters friendship. Create a sense of belonging with joy and fun. The skills I learned at OrKidstra were more than just playing instruments: music helped me develop teamwork skills, increase self-confidence and build life-long friendships. OrKidstra was inspired by the renowned El Sistema program, which has, over the last 43 years, proven to the world that music can be an agent of social change. 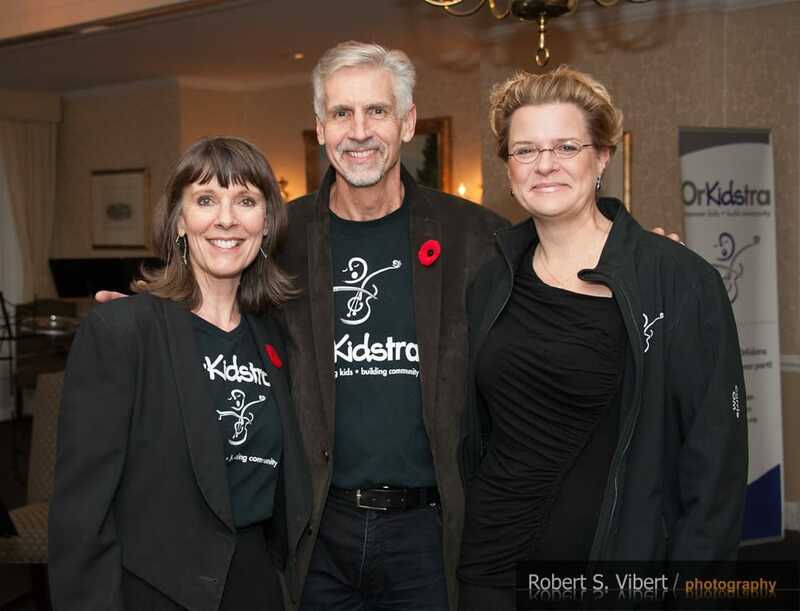 Tina Fedeski, Margaret Tobolowska and Gary McMillen founded OrKidstra in 2007. Originally known as The Leading Note Foundation as well as OrKidstra, the Ottawa-based organization was the first El Sistema inspired program outside of South America. 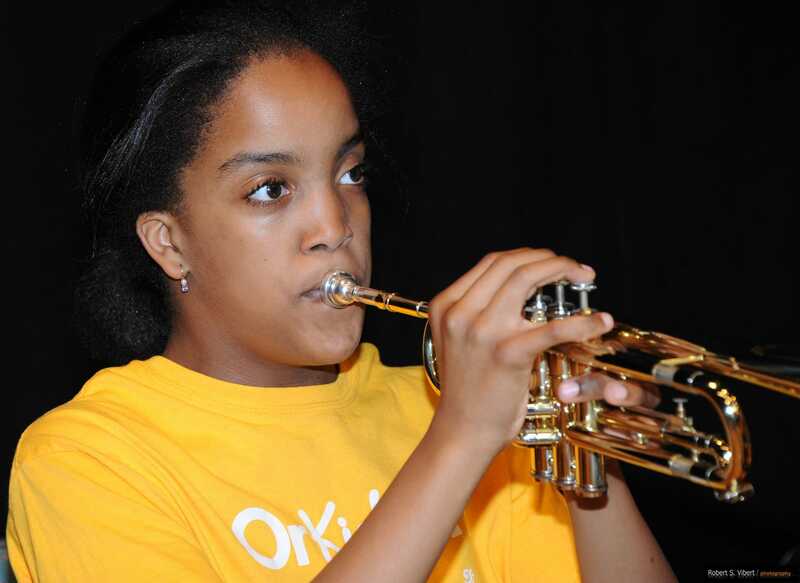 At the heart of OrKidstra is the beautiful combination of musicianship and citizenship, which encourages kids from under-served communities to find their voice through music. Since its founding in 1975 by the late Maestro José Antonio Abreu, Venezuela’s El Sistema has used music education as a means of social change. The principles of El Sistema are simple: children from low-income and under-served areas are given an instrument as soon as they can hold it. Tuition, instruments and music are all provided free of charge. In return, each child commits to playing in an ensemble. The program emphasizes community building, cooperation, friendship, discipline, trust, commitment, compassion, respect and self-esteem. The philosophy of El Sistema has inspired hundreds of similar programs, which serve an estimated over one million children in at least sixty countries around the world. Please visit the Sistema Global website for more information or watch the documentary Teaching the Life of Music which follows El Sistema’s impact. Sistema-inspired programs now exist in at least 60 countries all around the world: here are a few examples of these. Former Vice President of the Institute on Governance. Practitioner in policy development, citizen engagement and decision making in Canada and internationally. Broad experience in professional development. A lifelong chorister. With a full career in public broadcasting and journalism, Jane was formerly national director of news programs for the Canadian Broadcasting Corporation and managing director of CBC Ottawa. As well, having experienced a rich musical background growing up, she holds a life-long delight in the transformative power of music. Ms. Lambert holds an MSc in Administration (Finance) and is a Chartered Financial Analyst with strong skills in strategic planning and financial analysis. She is a Director in the Financial Sector Policy Branch of Finance Canada. Retired University Secretary, Carleton University. Former President, Rideau Curling Club. Served on the Board of the Ottawa Chamber Orchestra. Amateur cellist, Ottawa Chamber Orchestra, Ottawa Summer String Ensemble. Former Canadian Mixed Curling Champion. Lebanon-born architect with expertise in strategic planning, operations and project management. Member of the U of O Executive MBA team, which advised OrKidstra on market development opportunities in 2015. Came to Canada in 2014 with his wife to raise a family. OrKidstra volunteer since 2015. Had a diverse career working in fields ranging from construction to public relations and administration. Is an active volunteer in the community and served on the Boards of the Variety Club of Ontario and The Rideau Squash and Tennis Club. Amateur ukulele player. Graduate of Johns Hopkins University and Senior Public Servant and with expertise in US/Canada trade issues and in transport policy. Has worked in Ottawa and Iqaluit, and with the UN Mission to Kosovo. Resident of Centretown and OrKidstra volunteer since 2015. Enjoys playing jazz and classical piano. Retired Financial Officer at EKOS research and WEConnect Canada, as well as other small businesses and initiatives. Extensive past experience supporting OrKidstra, Chamber Music Festival, and Museum of Canadian History, chorister and overall music education enthusiast. Senior Writer at McLean’s; award-winning author and frequent commentator on CBC’s Power & Politics and The National’s At Issue panel; music lover and trumpet player. Long-standing career in international and national humanitarian and development work with extensive experience in regional disaster risk reduction, refugee determination, information and resource management and mobilization for humanitarian relief with UNHCR and UNISDR and other organizations. Sean is a Partner at Nelligan O’Brien Payne LLP, specializing in labour and employment law. Fluently bilingual, Sean is a Past President of l’Association des juristes d’expression française de l’Ontario. His major outside interest is music: playing frequent gigs in two bands and with the Nellotones. Mr. Naqvi is CEO of the Institute for Canadian Citizenship. Between 2007 and 2018, as the MPP for Ottawa Centre, he served in several Cabinet positions in Ontario, most recently as Attorney General. Rebecca is an experienced communications and development professional and a Dora Award-winning multidisciplinary performing artist. Rebecca holds a BA Combined Honours in Music and Theatre from Dalhousie University, a post-graduate certificate from Centennial College in Corporate Communications and Public Relations (Honours) and the Association of Fundraising Professionals’ Certification in the Fundamentals of Fundraising. Rebecca has performed professionally as a singer and performing artist with companies such as Against the Grain Theatre, Mermaid Theatre of Nova Scotia, Neptune Theatre, Artistic Fraud of Newfoundland, Essential Opera, 9th Hour Theatre Company and many more. Rebecca has worked in communications and development with organizations such as the Classical Theatre Project, Broadway Cares/Equity Fights AIDS and, most recently, Rebecca spent three years with The AFC – the lifeline for Canada’s entertainment industry managing all aspects of fundraising, event planning, communications, marketing and development. Rebecca joined the OrKidstra team in September 2016. Upcoming engagements: “The Gondoliers” with The Savoy Society of Ottawa. Carrie joined the OrKidstra team in the summer of 2014. She has worked in the not-for-profit sector as an administrator for 15 years, including the United Way and YMCA-YWCA. Carrie is an alumna of the Wexford School for Performing Arts in Toronto, where she performed and recorded with various stage, jazz and concert bands on the alto and baritone saxophones. She holds a Music Degree in Classical Vocal Performance from York University. When she’s not in the studio, Carrie enjoys the great outdoors and volunteering to support local children’s charities with The League of Super Heroes and the 501st Legion. Andrew is a 2017 graduate of the Bachelor of Education program at the University of Ottawa, specializing in teaching music and English, and a 2015 graduate of the Bachelor of Music program at the University of Toronto, specializing in music education and classical saxophone performance. Andrew became involved with OrKidstra as a student teacher for his University of Ottawa Teacher Education program in April 2017, and officially became part of the team in May 2017. Outside of OrKidstra, Andrew is an avid sailor and is an active part of the Ottawa music scene as a member of the funk band Cloud City and the National Capital Concert Band. As an experienced arts administrator, brass educator, and performer, Katie has been sharing her love of music with young musicians since 2009. She has worked as Associate Director of the UBC Summer Music Institute, Program Coordinator of the Vancouver Youth Symphony Orchestra, Shop Manager for Wedge Mouthpieces, and as the UBC Bands Teaching Assistant, while maintaining a freelance performance career and private teaching studio. Katie holds a Bachelor of Music and a Masters of Music in Tuba Performance from the University of Lethbridge and the University of British Columbia, respectively. She has performed with the Kamloops Symphony Orchestra, the Vancouver New Music Society, the Vancouver Symphony Orchestra “Tiny Tots” series, the Vancouver Metropolitan Orchestra, and many brass chamber ensembles, including the Touch of Brass Quintet and Pacific Spirit Brass. Katie joined the OrKidstra team in October 2017. After a life-transforming experience in UK’s Bedfordshire Youth Orchestra, Tina went on to study at the world-renowned Guildhall School of Music and Drama in London, England, and then played principal flute in the Tenerife Symphony Orchestra for four seasons. After spending a six-month sabbatical on full scholarship at the Banff Centre for the Arts, she moved to Ottawa, where she played with all the established orchestras and festivals in Ottawa including the National Arts Centre Orchestra and the Ottawa Chamber Music Festival. In 1999, in partnership with her husband Gary McMillen, she opened The Leading Note, now recognized as one of Canada`s leading classical print music stores – and a hub of the classical music scene in Ottawa. As Executive Director, Tina proudly accepted a Peace Award from the Mayor of Ottawa in 2011 in recognition of OrKidstra’s impact on the community of Ottawa. In spring 2012, Yasir Naqvi, MPP Ottawa Centre, presented Tina with the Leading Women/Leading Girls, Building Communities Award. She is also recognized as a Kickass Canadian, and late in 2012, she received, with immense gratitude, the Canadian Institute for Child Health Leadership Award. In 2017, the Right Honourable David Johnston, Governor General of Canada, awarded Tina Fedeski the Meritorious Service Medal for creating the OrKidstra program. 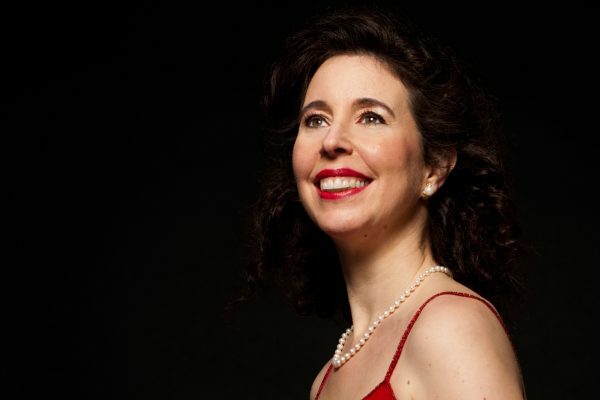 OrKidstra’s Ambassadors, Angela Hewitt, C.C., O.B.E. and Alexander Shelley, are inspiring leaders in the world of music. They perform in the greatest concert halls internationally and command critical acclaim. Their finely tuned talent and passion for their craft stand as a shining example to all musicians, but their commitment to OrKidstra is truly a gift. Through master classes, special rehearsals and performances, OrKidstra’s students have the opportunity to play with and learn from, the very best. For OrKidstra’s young musicians, this is the benefit and joy of following the steps of OrKidstra’s exceptional Ambassadors. Ms. Hewitt plays to audiences all over the world and yet holds deep affection for her hometown Ottawa. In the fall of 2017, Ms. Hewitt generously performed at a hugely successful fundraising concert in celebration of OrKidstra’s 10th Anniversary. In 2015, Alexander Shelley became the celebrated Music Director of Canada’s National Arts Centre Orchestra. He is also Principal Associate Conductor of the Royal Philharmonic Symphony Orchestra. In 2016, Maestro Shelley joined Angela Hewitt in becoming an OrKidstra Ambassador. This year saw the conclusion of our Tenth Anniversary. What a year it was: kicking off with an OrKidstra ensemble on The Hill on Canada Day; graced by Angela Hewitt’s stellar benefit performance; and by Alexander Shelley’s rousing Open Rehearsal. The kids performed to their utmost. But this is the glitz and glamour of OrKidstra. The day to day programming, teaching, administration, coordination and leadership happens behind the scenes: that’s the important side of the program. That’s what leads to results such as all our graduates going on to post-secondary education. Credit and thanks for this success goes to the kids themselves, their parents, teachers, staff, volunteers and especially to Tina Fedeski who inspires us all. Fueled by donors, public and private, and supported by partnerships and sponsors, OrKidstra continues to grow and delight. The following pages provide insights, but more is on the way. 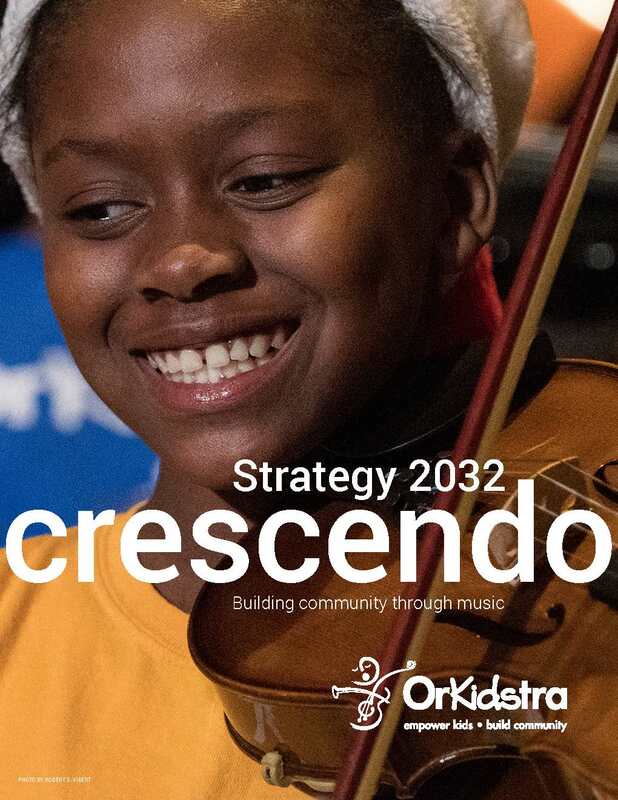 By the time you read this, we will have published our strategic plan, Crescendo: Strategy 2032, which maps out forthcoming opportunities and challenges. 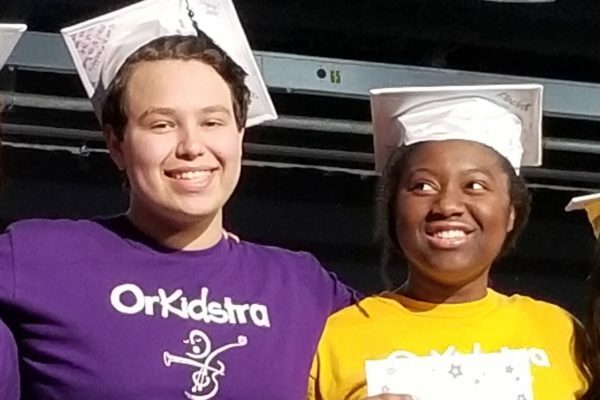 We hope you will invest in OrKidstra’s future, helping our children turn their passion, potential and possibility to reality, and making good on the belief that empowering kids, builds community. When Shan was two, she escaped on foot from Eritrea to Sudan with her mom. 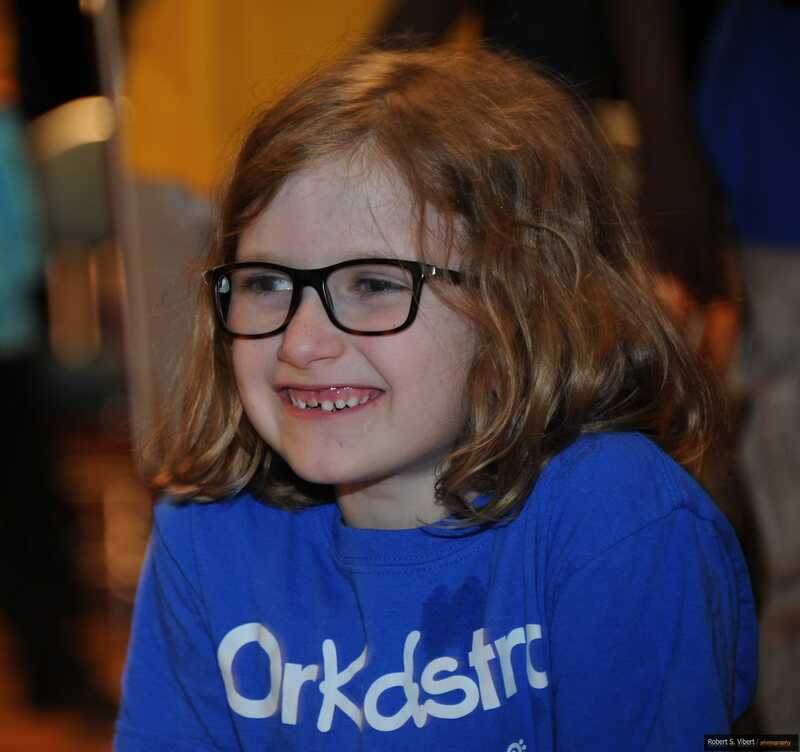 It was a big transition coming to Ottawa, but now OrKidstra is the best part of her day! OrKidstra graduate Gareth was born in a Karen refugee camp on the border of Burma and Thailand. 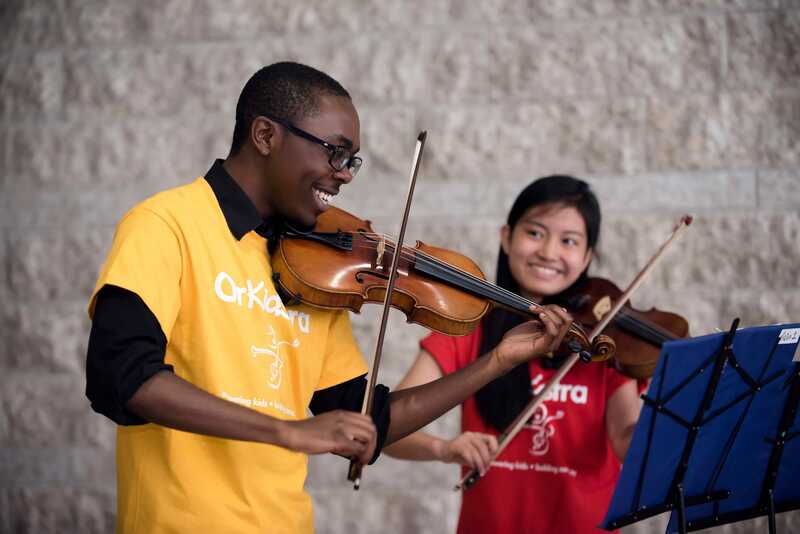 “A few months after arriving in Canada, I joined OrKidstra: it turned out to be the utmost life changing experience for me,” says Gareth. Gareth was born in a Karen refugee camp on the border of Burma and Thailand. 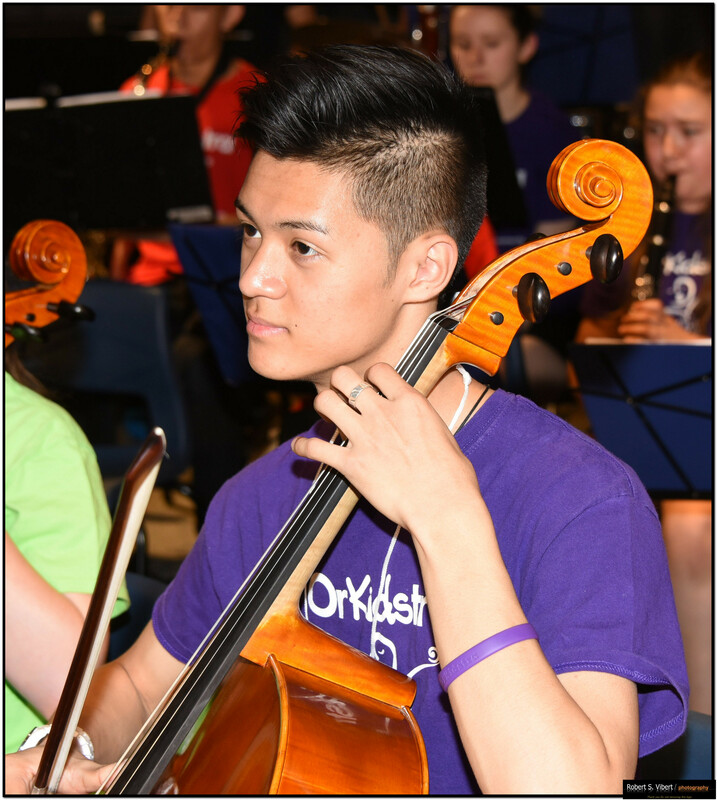 “A few months after arriving in Canada, I joined OrKidstra: it turned out to be the utmost life changing experience for me,” says Gareth. “I was fortunate enough to be born in a refugee camp (on the border of Burma and Thailand) where my family had relocated because our village was always under attack. My family lived in the refugee camp for about 10-14 years before we moved to Ottawa. A couple months after arriving in Canada, when I was still just learning English, I joined the OrKidstra program: it turned out to be the utmost life changing experience for me. I love everything about the OrKidstra program: it’s a loving place to be and a place you want to call home. Being a part of OrKidstra has taught me numerous meaningful things about both music and life. OrKidstra has taught me to be a better person, to accomplish what I set out to do, to practice with care, and lastly, to do what I do with love. Every time I pick up the cello, it seems like I can accomplish anything. OrKidstra made me the person I am today. “I think OrKidstra is helping my kids to be better at school – to concentrate more and to understand that when you have goals, you have to work hard to achieve them,” says Vanier Hub parent Marie. Marie and her three kids joined the OrKidstra family in the fall of 2016 and attend the Vanier Hub. Marie is originally from Haiti and the family of four speak French, English and Creole together at home – now they also share the joy of the universal language of music! Jaden, Michaela and Alex say “Merci pour le support!” to everyone who helps to support OrKidstra. 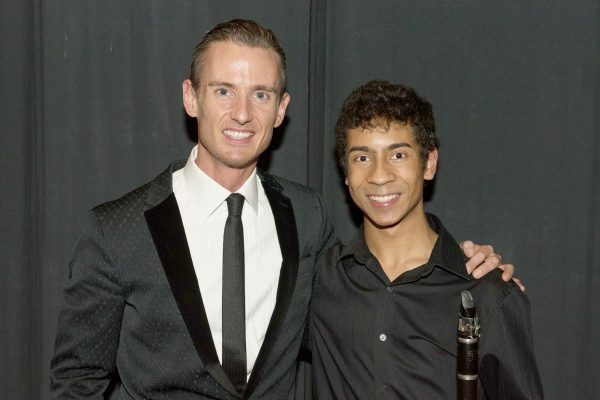 OrKidstra graduate and Teaching Artist Declan shares how OrKidstra as given his life meaning. OrKidstra graduate Declan joined the OrKidstra family at age 11 in 2008. Ten years later, he is in his 3rd year of University and is an OrKidstra Teaching Artist. 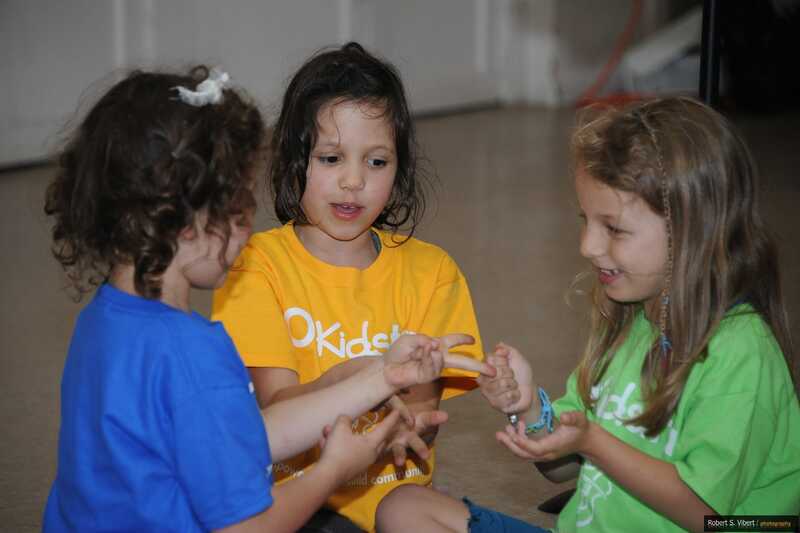 “What I like most about OrKidstra is that kids in our community have something really constructive to do after school. Playing and singing with OrKidstra builds important life skills like teamwork and leadership, skills that are applicable to all areas of life. And the kids have a really fun time which a bonus. I find teaching at OrKidstra really rewarding because I love seeing the kids accomplish their goals. I’m really invested myself and reaching my goals with them. I would totally teach for free if I didn’t have to eat! I don’t even think I would be playing music if it wasn’t for OrKidstra and definitely not studying it! OrKidstra has really given my life meaning: I feel like I’m really giving back in a positive way. Our goal is and has always been social development: using music as the instrument of change to achieve many outcomes that help today’s child, the adults they will become and the community in which they live. OrKidstra has succeeded due to its leadership and philosophy, but also because it speaks to our times. In step with the country, Ottawa’s new Canadian population is growing quickly. Nurturing an environment of inclusivity and harmony is key to our approach. Our students learn how to build a community that transcends social, linguistic and cultural differences, and celebrates the mosaic that is Canada. Partly due to OrKidstra’s location—within sight of the Parliament buildings—the program has become widely recognized locally, nationally and internationally as a beacon of social inclusion, leading to high-profile performances. OrKidstra’s vision for the future offers children and youth an opportunity to find their voice and build their potential through music. This vision guides all aspects of our strategic plan. Crescendo: Strategy 2032 aims to explain our plans for the future and share our goals publicly. As such, the document provides only broad-brush strokes of what needs to be accomplished to reach our goals. We invite you to join in the journey as OrKidstra and its students create an exciting future.